As the new academic year is about to start next Saturday, September 1, 2018, incoming students are preparing to start the next four years of their lives. 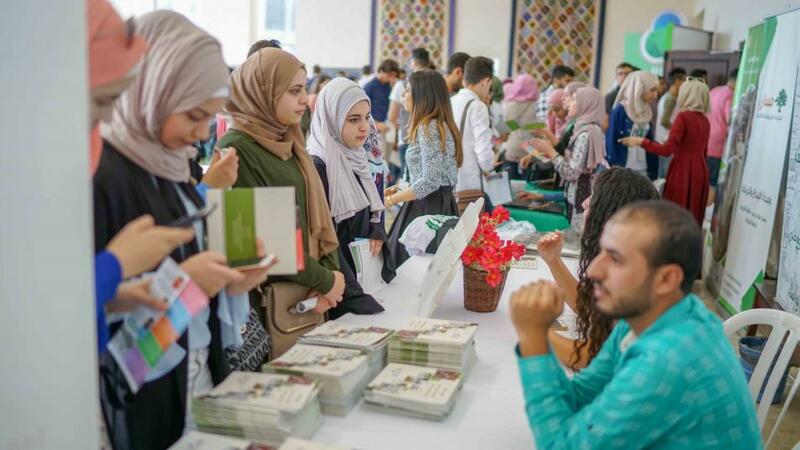 Around three thousand new students will participate in Birzeit University’s Welcome Days on campus on August 27-29, 2018, when they will be introduced to university life through various events, programs and interactive meetings. Welcome Days, sponsored by Jawwal this year, are a long-standing tradition at Birzeit University. They are designed to make the new students' transition to Birzeit and university life as smooth as possible. 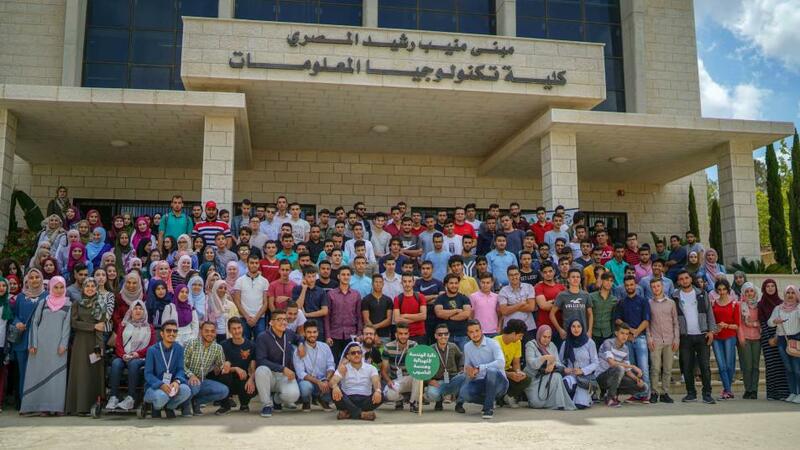 Welcome Days mark the beginning of the freshman collegiate experience at Birzeit University. The three-day schedule was kicked off on August 27, 2018, with the participation of upperclassmen who joined faculty and staff members in assisting new students as they moved into their new journey. The schedule includes informative sessions on university services, interactive booths that allow first-year students to engage with their fellow peers, learn about student initiatives and activities, and meet their professors. 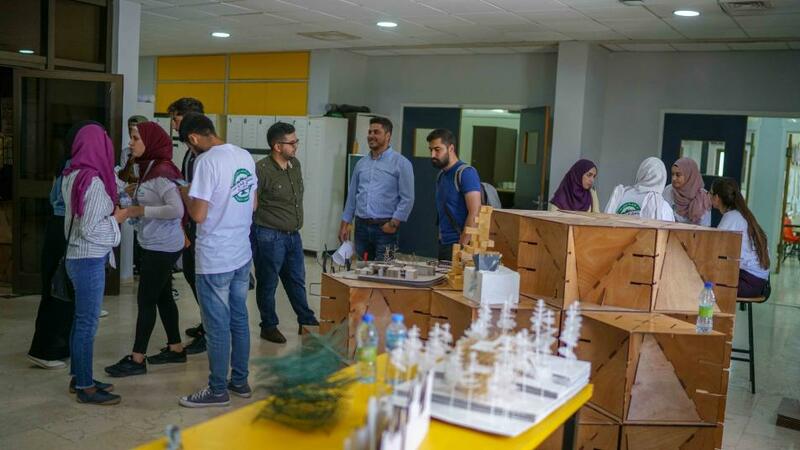 The students were offered numerous opportunities to learn more about Birzeit University’s rich history and campus resources. In the first welcoming day, the university greeted new students enrolled in the Faculties of Engineering and Technology, and Pharmacy, Nursing and Health Professions. Students from the faculties of Art; Education; Arts, Music and Design; and Law and Public Administration will flock into the university on the second day. On the last day, the university will welcome students from the Faculty of Business and Administration and the Faculty of Science. 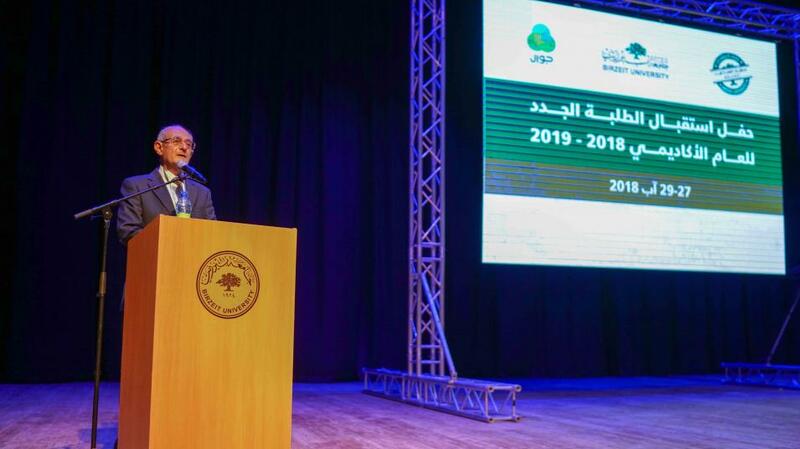 On the first day of the welcome days, Vice President for Academic Affairs Henry Giacaman gave some advice that would help students to step out of their comfort zone and the start their journeys at Birzeit University easily. He encouraged students to hold onto their freedom and independence and pursue knowledge, as it is vital for the exercise of democracy and the promotion of the common good. 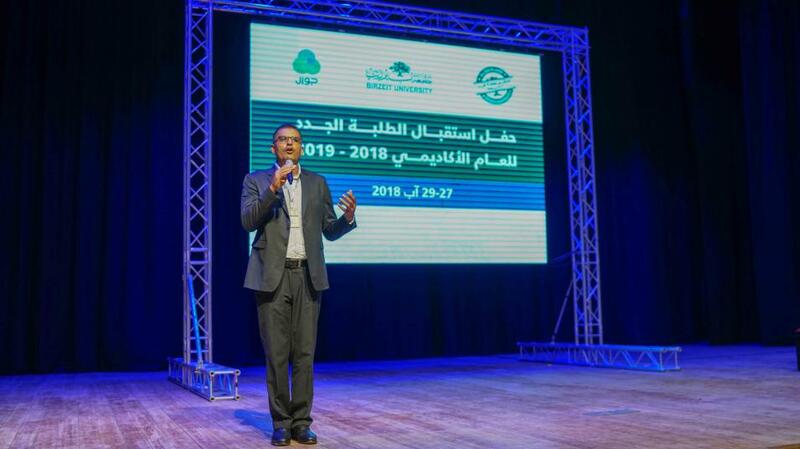 In turn, Director of Public Relations at Jawwal Thaer Abu Baker announced that the company would offer 550 scholarships for students in various Palestinian universities. Abu Baker emphasized Jawwal’s role in empowering students and future graduates to take charge of their own future and plan their career paths successfully.